Looking for a quick and easy Christmas gift perfect for neighbors and teacher gifts? 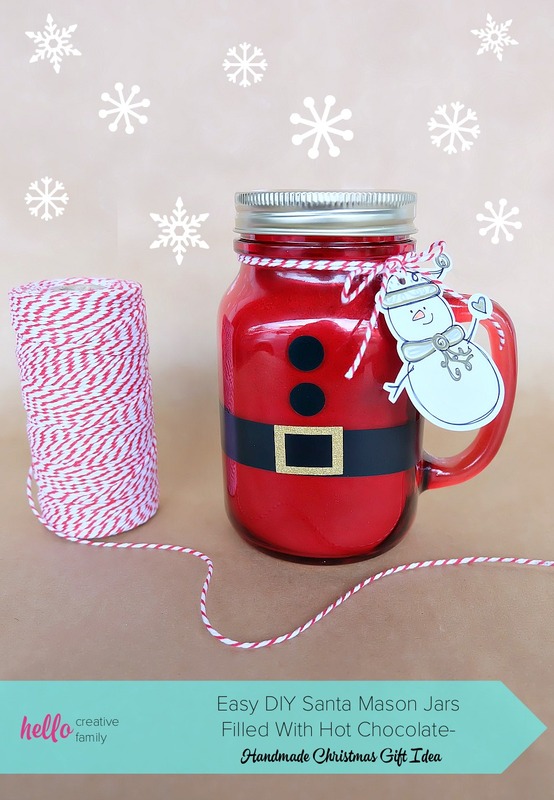 These DIY Santa Mason Jars are filled with hot chocolate and take minutes to make! Cut vinyl with scissors or we’re also sharing the Cricut cut file for making this project. We’re also sharing our hot chocolate mix recipe! 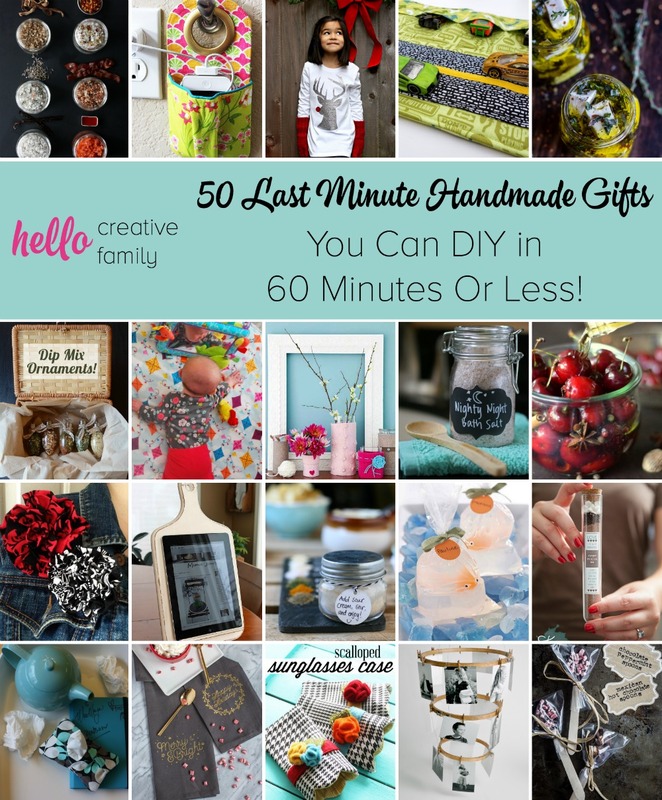 Enjoy this handmade gift idea! It’s beginning to look a lot like Christmas… No seriously!!! How is Christmas less than a month away?!?!?! This mama is deep in the trenches prepping for Christmas, making a bunch of handmade gifts. I love giving a little something to friends and neighbors to let them know how much I appreciate them being a part of our community. This year I’m making gift baskets with my friend Tracy that we are going to put homemade pickles, red pepper jelly, and other delicious treats into. 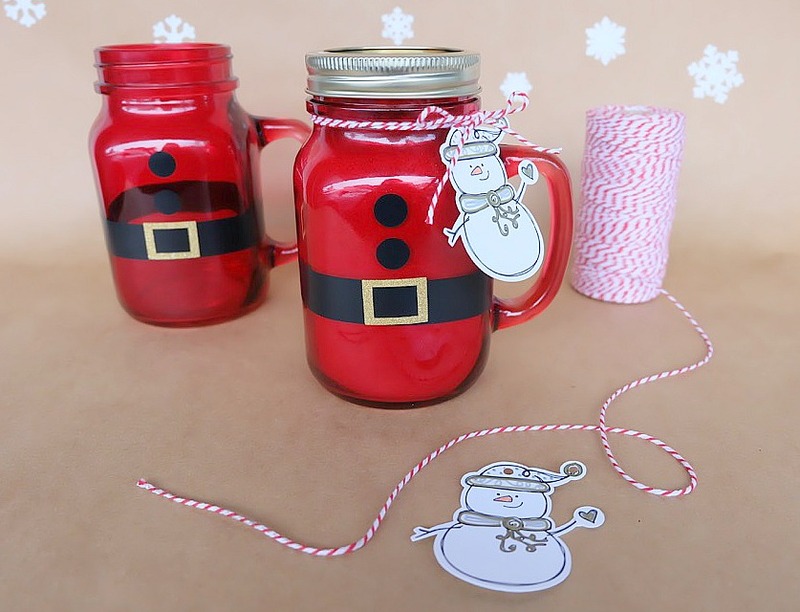 When we found these adorable red mason jar mugs at the dollar store they seemed like the perfect item to add into a foodie gift basket. Tracy immediately came up with the idea of turning them into Santa Jars and I knew that would be so easy to accomplish with my Cricut. Don’t worry if you don’t have a cutting machine though, these shapes are so simple that you can cut them by hand (though I will be sharing the Cricut cut file for all of you who are a part of the Cricut Family). Tracy and I are going to fill them with hot chocolate mix and add them to our foodie gift baskets. These sweet little Santa mugs make a simple and sweet handmade gift either on their own or paired with different items. We’re going to fill clear ornaments with hot chocolate toppings too. 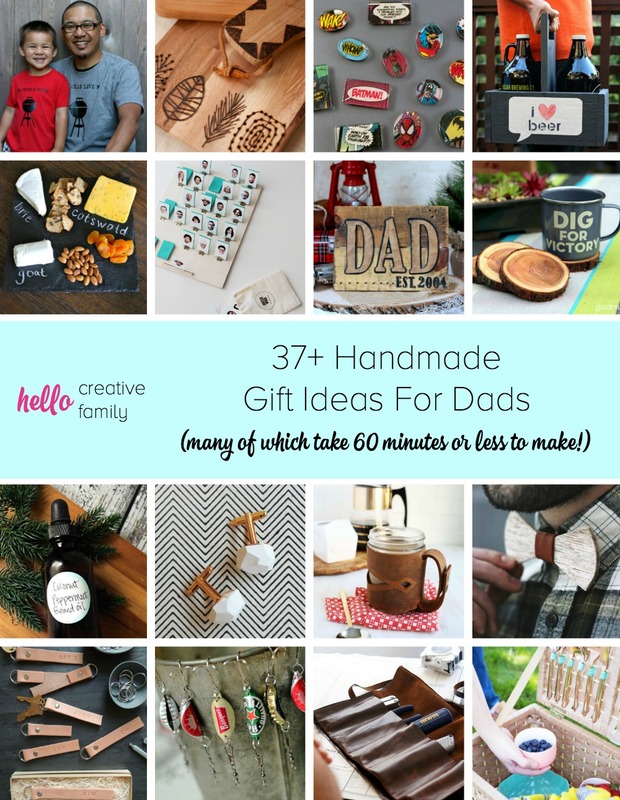 The best things about this handmade gift idea are that they are quick, easy and adorable– and what handmade gift giving mama doesn’t love that? 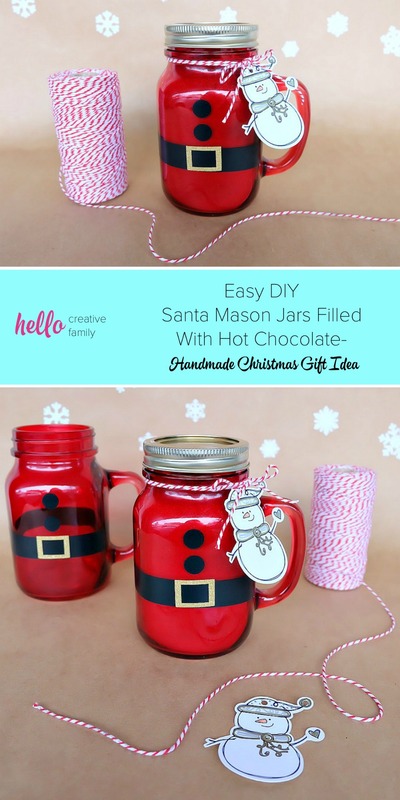 Keep reading for my instructions on how to make these DIY Santa Mason Jars Filled With Hot Chocolate– but first, my hot chocolate mix recipe! Optional: A pinch of cayenne… I love a bit of heat in my hot chocolate! Combine ingredients in a bowl and mix together well. Pour into a mason jar and seal. Add two tablespoons to a cup of hot water and stir until dissolved whenever you want a sweet, chocolatey treat! For an extra creamy treat add two tablespoons to your heated milk or nut milk! 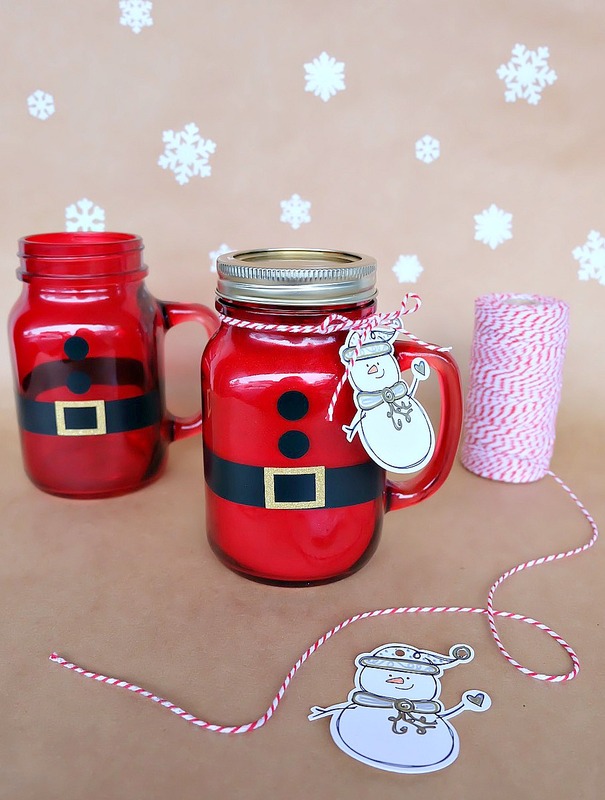 -If using a Cricut use our Santa Mason Jar cut file. Make sure to measure your mason jar to make sure the measurements work for the jar you are using. Cut the belt and buttons out of black vinyl and the buckle out of gold sparkle vinyl. -If using scissors, cut a rectangle for the belt out of black vinyl (we cut ours 3/4 inches by 12 inches which left for a bit of overlap where the two ends of the belt meet). Use a dime or another coin to trace circles on the black vinyl for buttons and then cut using scissors. Cut a buckle out of gold sparkle vinyl. -Remove your vinyl pieces from the paper backing and stick to your mason jars. Fill with hot chocolate, add a lid and gift tag and give as great handmade gifts! Speaking of gift tags… Aren’t the snowman gift tags we used pretty much the cutest thing ever? They were designed for Cricut by 100 Directions. Find her tutorial for making them here! 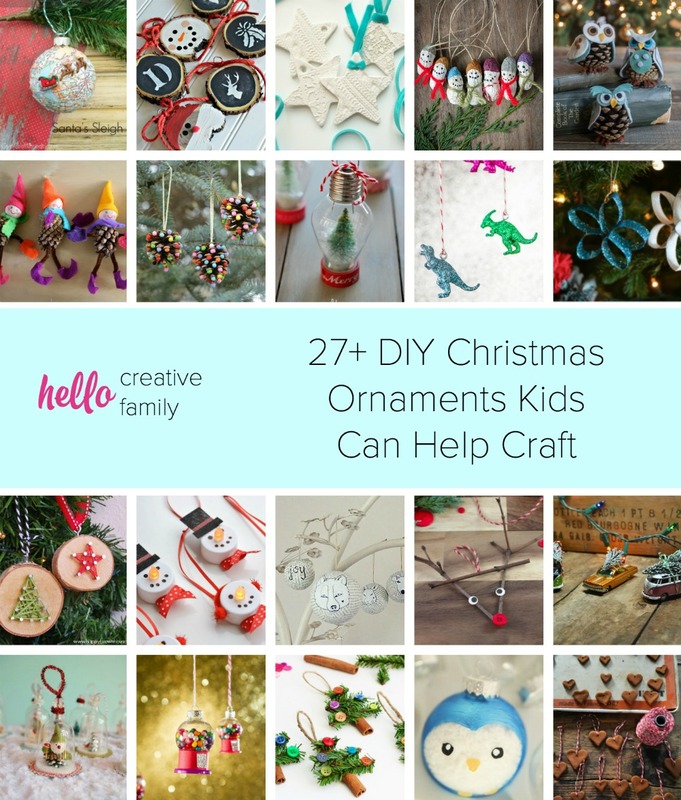 She also teaches how to them from chipboard for the cutest Christmas ornament! Can you believe that none of the tag was printed with a printer? My Cricut drew the adorable little snowman and all his accents using different colored pens placed in the tool holder! Find a video of it in my Cricut Highlights on Instagram. Cut your own snowman gift tags using this Make It Now project here in Cricut Design Space. Tell me… Do you give holiday gifts to your neighbors? 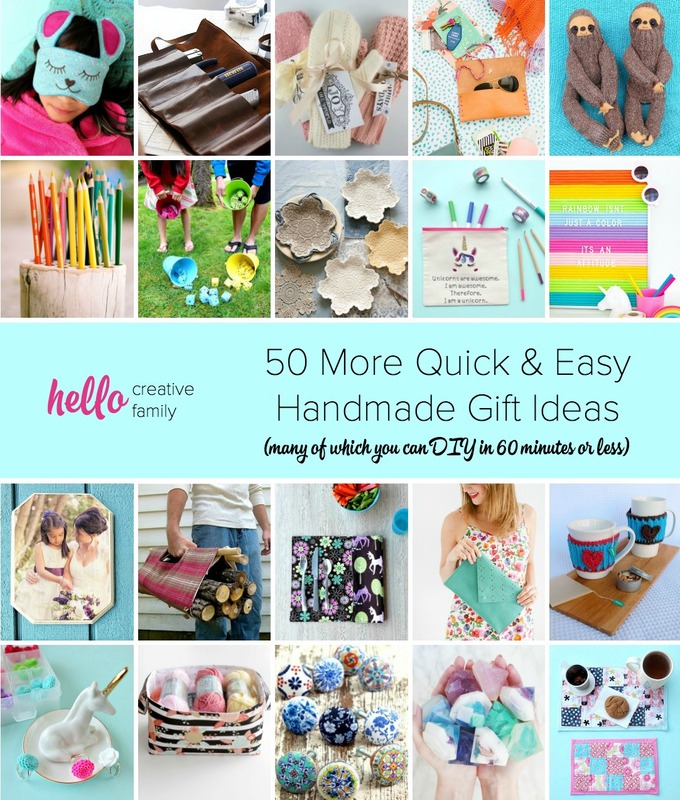 What’s one of your favorite quick and easy neighbor gift ideas? That is so cute and love the added pinch of cayenne! I will have to try that in my hot chocolate. This is such a nice gift idea!